"Great office, great staff. Dr. Harmetz has been my dentist for more than 20 years." "Great staff and wonderful customer service. Very accommodating,..."
"I always receive on my smile says a lot about the care I have received over the years." "World's I mean WORLD'S BEST Dentist!!!!! Gentle, caring, the work is tip-top." "Top-notch office! No wonder all the patients there are so grateful toward Dr. Harmetz." You can expect thorough, personalized care delivered with a gentle touch at Richard A. Harmetz, DDS, a patient-focused general dental practice conveniently located in San Diego, California. Dr. Harmetz and his experienced team of hygienists and support staff serve families from communities across the greater San Diego County area. 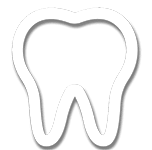 They offer a comprehensive menu of general dental services to meet all your oral health care needs, including routine cleanings and exams, diagnostic services, cavity treatment and prevention, periodontal care, root canal therapy, and much more. Dr. Harmetz also offers a full scope of cosmetic and restorative services, ranging from simple treatments like in-office laser whitening to more complex procedures like smile makeovers. The team at Richard A. Harmetz, DDS believe that patient education and regular preventive care are of primary importance when it comes to achieving optimal oral health and a beautiful smile. Whether you’re looking for a whiter, brighter smile or you’ve got a toothache that needs some attention, Dr. Harmetz and his team can help. Dr. Harmetz and his knowledgeable, friendly staff are dedicated to providing top-notch care in a welcoming, comfortable environment. To make an appointment, call the office or use the convenient online booking tool today. Richard A. Harmetz, DDS accepts any PPO and we are in network with Delta Dental Premier. If you do not see your insurance provider or if you have any questions about payment, please contact our office. "I have been a patient of Dr. Harmetz since 1982! He is caring, gentle, meticulous, punctual and conservative in his treatment. His entire office is top-notch." "Just had my four front teeth crowned and they are beautiful. I was nervous because they were the front teeth, however Dr. H is great at making you comfortable..."
Dr. Harmetz and his team systematically provide excellent quality dentistry services that is confirmed by all those like myself..."
"I've been seeing Dr. Harmetz for over 25 years. Mainly, I have had crowns, fillings, and bondings over the years besides regular checkups and semi-annual cleanings." "Dr. Harmetz and all of his staff are first rate! They are very professional, skilled and friendly! I would never hesitate to recommend his office to any of my friends."